This entry was posted in NBA, Sports, WTF and tagged arrested, FBI, Grizzlies, Javaris Crittenton, Lakers, Los Angeles Lakers, Memphis Grizzlies, Murder, shooting, Washington Wizards, Wizards. Bookmark the permalink. This entry was posted in Freestyle, Hip Hop, Rap and tagged CaliforniaID, Chubby, DJ Far, DJ Grady, Jag, Mixtape. Bookmark the permalink. On Monday the Philadelphia Eagles announced that they have agreed to terms on a new six-year deal with their franchise quarterback Michael Vick. He is now one of the highest paid players in the league with a deal reportedly worth $100 million with $40 million guaranteed. 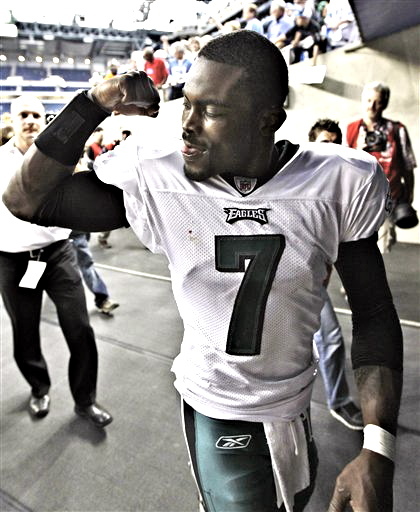 With this new deal, Vick will be under contract with the Eagles through the 2016 season. He was previously playing under the one-year franchise tender. Vick will be 37 by the end of the deal. This entry was posted in NFL, Sports and tagged contract, Eagles, Michael Vick, Mike Vick, Philadelphia, Philadelphia Eagles. Bookmark the permalink. This entry was posted in Freestyle Battle, Rap and tagged Ballgame, Hitman Holla, Hollow Da Don, L.O.M, Loyalty Over Money, Smack White, URL Tv. Bookmark the permalink. NEW SONG: Maserati: Boogie V.
This entry was posted in Hip Hop, Rap and tagged BLDG 11 Music Group, Boogie V, Twin Life Inc, Work To Live. Bookmark the permalink. This is a deep song right here i hope a lot of women get the message in this song that they are giving you.There is help out there don’t put yourself through this The Domestic Violence Hotline is available. RIP Trisha click the link above to D/L the song for 0.99cents on iTunes. This entry was posted in Hip Hop, R & B, Uncategorized and tagged closed doors, Domestic Violence, Drew Breezy, RIP, Tribute, Ty Whit. Bookmark the permalink. Philly on the grind new music from Reed & Cyss check this out people. This entry was posted in Rap and tagged Cyssero, Philly Pa, Philly Rap Scene, Reed Dollaz, The Wire 6 DVD. Bookmark the permalink. All these guys are game changers & a huge part of there offense but I feel Larry Fitz is the best in the game. This entry was posted in Uncategorized and tagged Andre Johnson, Desean Jackson, Larry Fitzgerald, NFL, Roddy White, Sports. Bookmark the permalink. 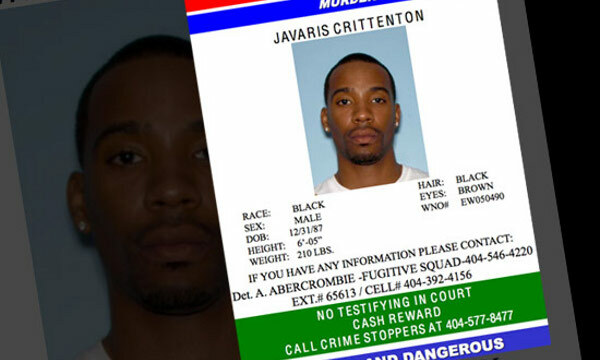 Former NBA player Javaris Crittenton is currently wanted for murder. He has been charged in the fatal shooting of 22-year-old Jullian Jones, a mother of four who was gunned down Aug. 19 on an Atlanta street. Crittenton allegedly killed Jones with shots fired from a dark-colored SUV, police said. Investigators don’t believe Jones was the intended target. Crittenton’s motive appeared to be retaliation for an April robbery in which Crittenton was a victim. He played 113 NBA games (including 22 with the Lakers in 2007-08), and was also a key piece in the trade to land Pau Gasol. 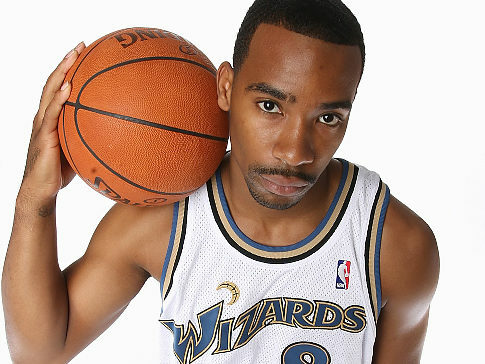 Crittenton’s pro career was derailed by a gun-related incident involving Gilbert Arenas in the Wizards’ locker room during the 2009-10 season, leading to a lengthy suspension. This entry was posted in NBA, Sports, WTF and tagged Basketball, Gilbert Arenas, Javaris Crittenton, Jullian Jones, Lakers, Murder, Nba, shooting, Wizards. Bookmark the permalink. This entry was posted in Hip Hop, Rap and tagged Big K.R.I.T, Big kritt, God's Machine, Last Kings 2, Mixtape. Bookmark the permalink. The University of Miami confirmed Friday that the university has submitted to the NCAA a list of the players deemed ineligible, in order for the NCAA to initiate the reinstatement process and rule on each individual player by the Sept.5 season opener at Maryland. Coach Al Golden would neither say the amount of ineligible student-athletes nor identify them. It was reported Thursday that eight football players (including quarterback Jacory Harris and linebacker Sean Spence) were declared ineligible by UM. Harris and Spence, and eight of the other 10 players were implicated in a Yahoo! Sports report last week that alleged they received impermissible benefits from Nevin Shapiro. The other players implicated by Yahoo! are defensive tackle Marcus Forston, safeties Ray-Ray Armstrong and Vaughn Telemaque, defensive ends Adewale Ojomo and Olivier Vernon, linebacker Marcus Robinson and receivers Travis Benjamin and Aldarius Johnson. UM president Donna Shalala said earlier this week that 15 student-athletes were being investigated by the NCAA. At least one of them, DeQuan Jones, is a basketball player. This investigation is ongoing and could result in major penalties for the University of Miami, or even termination of the football program. This entry was posted in Ncaa, Sports and tagged ACC, Al Golden, Football, Ineligible, Jacory Harris, Miami Hurricanes, NCAA, Nevin Shapiro, Sean Spence, UM, University of Miami, Yahoo! Sports. Bookmark the permalink. Lenox Ave Beast is out now Fresh off his battle with Aye Verb Clips is back with some more crazy metaphors. This entry was posted in Rap and tagged battle rap, Charlie Clips, lenox ave, URL Tv. Bookmark the permalink. R & B artist on the come up Ahmaad is back with a new video called Only You produced by Sam Trax. This was inspired by the movie “Poetic Justice” This is a song and movie enjoy it ladies. This entry was posted in Hip Hop, R & B and tagged ahmaad, Brooklyn NY, Maxwell James, Poetic Justice, sam trax, Tupac Shakur. Bookmark the permalink. LSU Star Quarterback Jordan Jefferson has been suspended indefinitely following a big fight outside a Baton Rouge Bar. He and LB Josh Johns were kicking a marine in the face and have been charged with second degree battery. This will cost him big right now LSU is currently ranked #4 in the nation. This entry was posted in Ncaa, Sports and tagged Jordan Jefferson, Josh Johns, NCAA. Bookmark the permalink. This entry was posted in Rap and tagged Bronx NY, Brooklyn NY, Drake, Fo Sho, G Light, Harlem. NY, Headlines, PK, Queens NY, Staten Island Ny, Streetz, Young stat. Bookmark the permalink. A new banger from the kid Phillup as usual he spitting hard & enlists Face for an Atown banger check it out & rate it below. This entry was posted in Rap and tagged Allentown PA, Chedda Records, Da Stash Box, Face Da Beast, Phillup Bank$, Rap Forever, RFE Media. Bookmark the permalink. In tonight’s action the Redskins jumped out to an early 14-0 lead against the Ravens thanks to running from Tim Hightower, and DeAngelo Hall running back a 52 yard interception for a touchdown. The Ravens answered back with a three yard touchdown run from Ray Rice. Joe Flacco and Lee Evans hooked up on a 35 yard touchdown pass. The Ravens won the shootout against the Redskins though thanks to the late heroics of rookie quarterback Tyrod Taylor. The Redskins still can’t decide on a starter so Rex Grossman and John Beck were on display. Grossman went 8/15 for 112 yards and one TD pass. Beck threw 6/10 for 108 yards with one TD and interception. Flacco numbers were 17/27 for 217 yards with one TD and interception. Taylor 11/18 for 125 and game winning touchdown pass. Weakness: Redskins are unsettled on a starting quarterback to lead the team. Mike Shannahan’s faith in unproved QB John Beck still leaves many speculating, but we’ll see how it ends out. In the NFC East the Redskins aren’t expected to do much because they always underachieve. Until they find out what they need to be considered contenders they will continue to do the same. Strengths: Redskins has some nice players on their roster like always, but never seem to pan out when they get there. It’s like the Oakland Raiders “Black Hole” of the East Coast. In the tough division they reside in fans shouldn’t expect much from them. Ravens have always had a strong defense, but as they keep aging the SuperBowl window is closing. They were close last season in the AFC Championship game, but fell short to the Steelers. 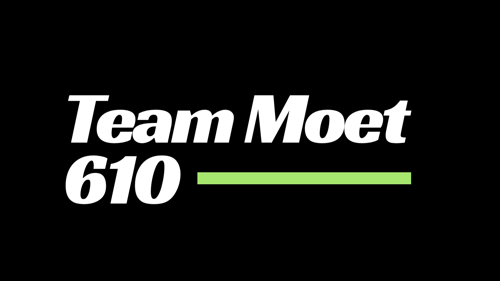 With a new season we will see how far they can go this season, and if Flacco chokes again the Ravens have a rookie named Tyrod Taylor that could take the reigns one day. Ravens won the shootout 34-31. The Redskins next game is against the Tampa Bay Buccaneers. The Ravens will head to ATL to play against the Falcons in the preseason finale. This entry was posted in Blogs, NFL, Sports, Uncategorized and tagged Redskins; Ravens; Ray Lewis; John Beck; Rex Grossman; Tyrod Taylor; Ed Reed. Bookmark the permalink. In tonight’s action the Eagles rebounded from a tough outing from the Steelers last week. Michael Vick was more careful with the ball and the Eagles offense moved well against the Browns defense. Colt McCoy struggled and couldn’t find a rhythm with the offense. The only time they really had minor success is when handed the ball to Peyton Hillis. Vince Young came in the second half and Eagles offense didn’t lose any momentum. Vick went 10/18 for 98 yards and an eight yard touchdown run. McCoy went 9/18 for 89 yards and one interception. Young threw 9/12 for 58 yards and a 10 yard TD run. Weakness: Browns need to find some continuity on both sides of the ball. Their offense needs to find an identity it can rely on, and the defense is like it has been for years terrible. 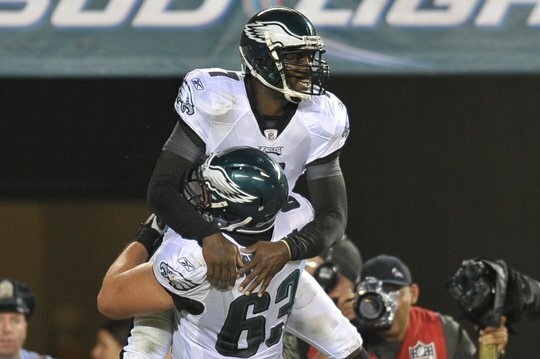 Eagles need to sure up the offensive line to keep Vick standing upright in the pocket. Needs the rest of their impact players to keep getting healthy for the start of the season. Strengths: Browns have a great opportunity with Colt McCoy towards the future. From his nice career in Texas where they were always in the BCS hunt, now he was drafted to a bottom basement NFL team. Providing the right weapons around him, and finding better pieces for the defense could make the Browns relevant down the road. Eagles have a star-studded cast. So far this preseason they haven’t really wowed anybody except for the roster names. As they keep progressing and building they should live up to all the hype they attracted this off-season through all of their acquisitions. The final score was Eagles 24-14. Browns next match-up will be against the Bears at Solider Field. The Eagles will take on the Jets at the New Meadowlands stadium. This entry was posted in Blogs, NFL, Sports, Uncategorized and tagged Browns; Eagles; Vick; Young; McCoy. Bookmark the permalink. The Panthers and Bengals face off in tonight’s week three of preseason action. The Panthers got off to a great start with a 16 yard touchdown run by rookie quarterback Cam Newton. Soon after that the Panthers offense stalled, and with productive help from Benson and Scott in the running game. With the effectiveness from both backs Dalton was able to link up with fellow rookie A.J. Green for 53 yard TD reception. Newton ended tonight’s with 6/19 for 75 yards. Dalton went 11/17 for 130 yards and one touchdown. Weakness: Panthers with Newton made a little progress, but he is still trying to grasp the offense enough to win the starter position from second year player Jimmey Clausen. At times his accuracy went and made it hard to finish drives. The Panthers young defense shows promise, but since the departure of Julius Peppers they can’t rush the passer as great. Charles Johnson is a beast, but he cannot do it alone. Bengals had a better outing this game, but still needs to work on the trenches battle to better help the development of Dalton. The defense needs to find some continuity to play better. Strengths: Panthers have a great running game with the duo of DeAngelo Williams and James Stewart. If the can get back to the success they had in 2009 when both backs went for over 1,000 yards rushing they can pose as a scare in the stacked NFC South. 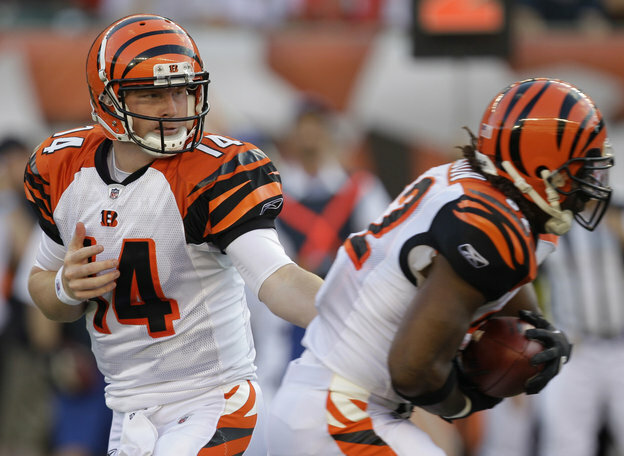 Bengals have great offensive tools at the disposal of Dalton. With better team play he can make the Bengals a good team. This season look for him, Green, and Jermaine Gresham to rack up some points. With the weapons he made look good at TCU Dalton will come into his own eventually. The final score was Bengals 24-13. Next game the Panthers will play against the Steelers at home. The Bengals will face off against the Peyton Manningless Colts. This entry was posted in Blogs, NFL, Sports, Uncategorized and tagged Panthers; Bengals; Cam Newton; AJ Green; Andy Dalton. Bookmark the permalink. When 2pac died he was cremated there were rumours over the years that the Outlawz smoked his ashes. Vlad recently sat down with them to discuss this topic. This entry was posted in Hip Hop, Rap, WTF. Bookmark the permalink.